While being an entrepreneur allows oneself control over his or her own future and a greater level of independence, it can be difficult to gain traction and grow the business to the next level, especially without proper branding. KickCharge Creative provided us with an identity that instilled confidence in our whole organization. 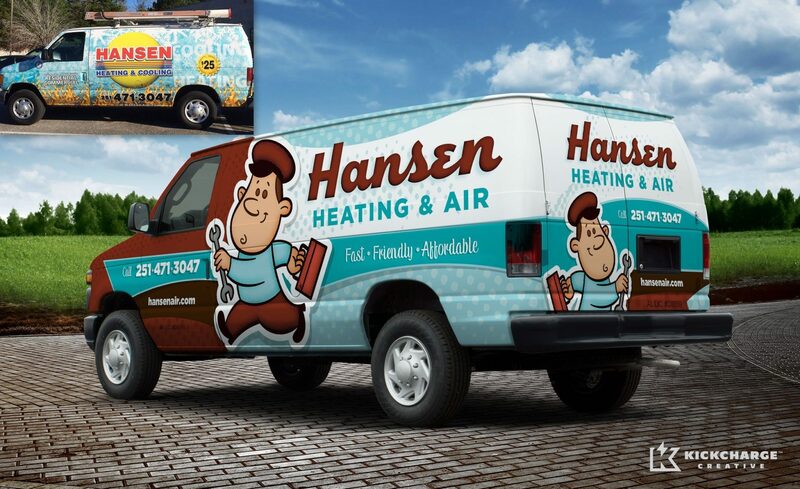 When we partnered with Hansen Heating & Air, we started with what would be the foundation for the brand and its future growth–a logo. 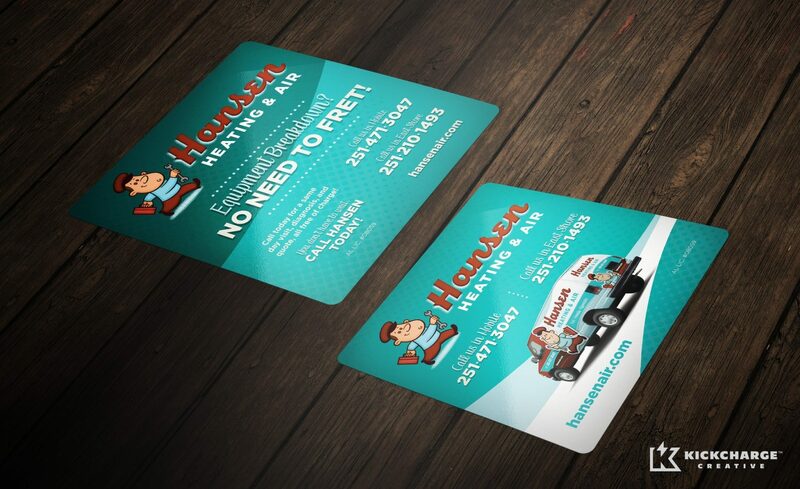 To help the company stand out in its market and instill in customers a sense of trust and quality workmanship, we developed a retro theme for Hansen Heating & Air. The logo features a vintage color palette of teal and brown, with a font that evokes mid-century America. Rounding out the retro branding is a happy serviceman mascot who would appear at home in cartoons of that era. 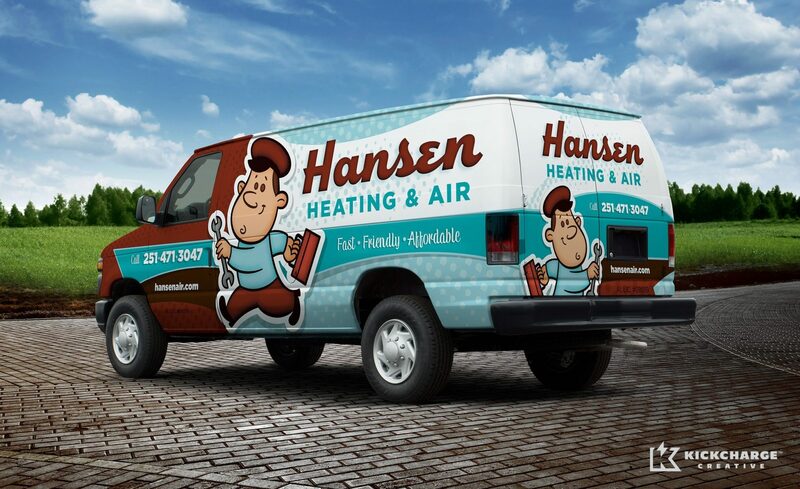 Once the logo was established, it was brought to the company’s fleet via a newly designed vehicle wrap. The vehicles sport the same color palette, with the addition of halftone shading for a subtle ‘50s flair. Meanwhile, the company’s slogan “Fast. Friendly. Affordable.” emphasizes the company values. 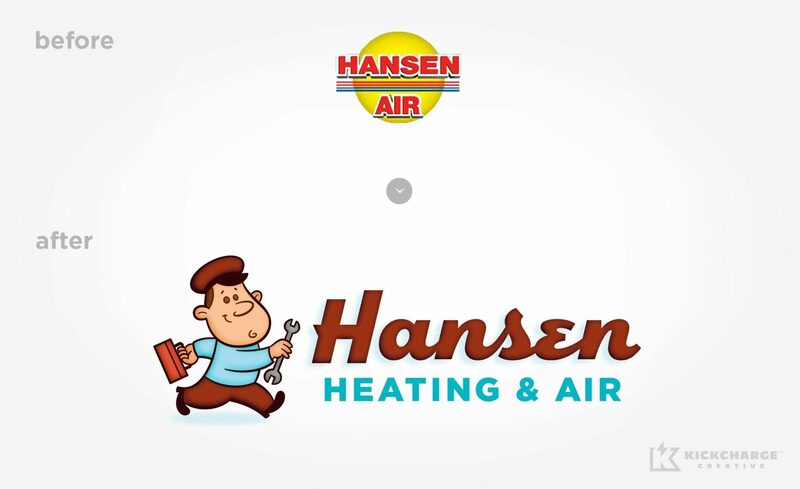 The same elements are reflected on Hansen Heating & Air’s website, which is home to a comprehensive services section, client testimonials and additional useful information for its customers. 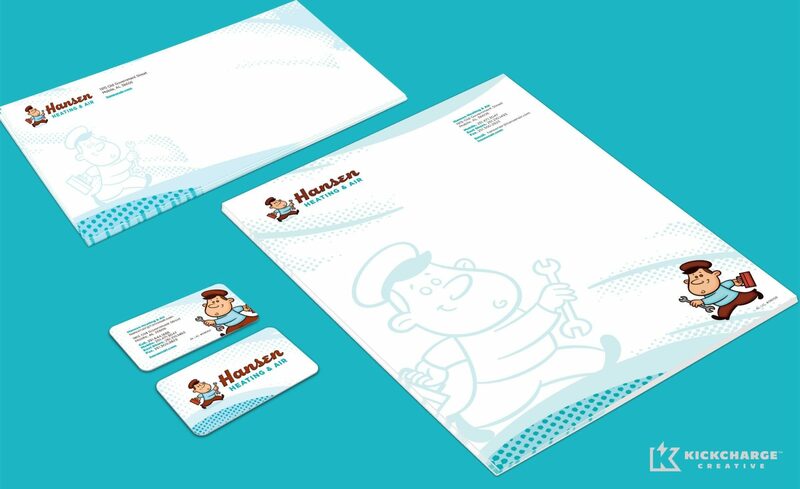 Finally, the new brand was integrated on stationery and advertisements for a completely cohesive experience. Helping a small business build a new brand from the ground up is a rewarding experience for us at KickCharge Creative. 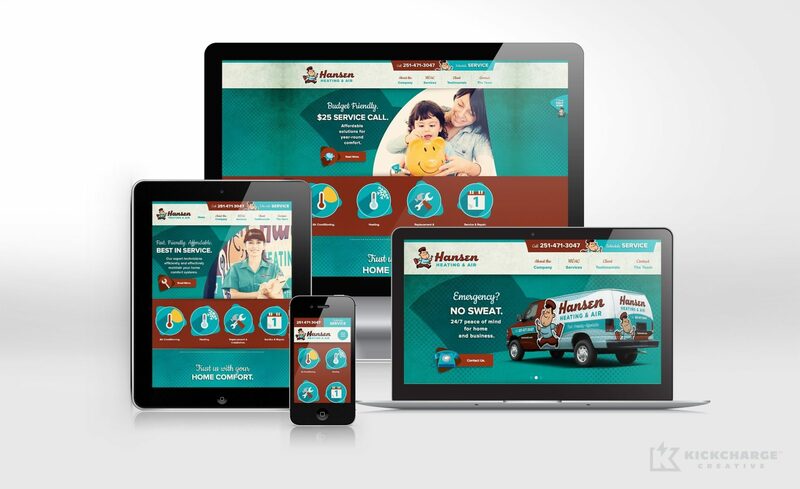 It is even more rewarding to watch a brand become part of a cohesive marketing message for our clients. 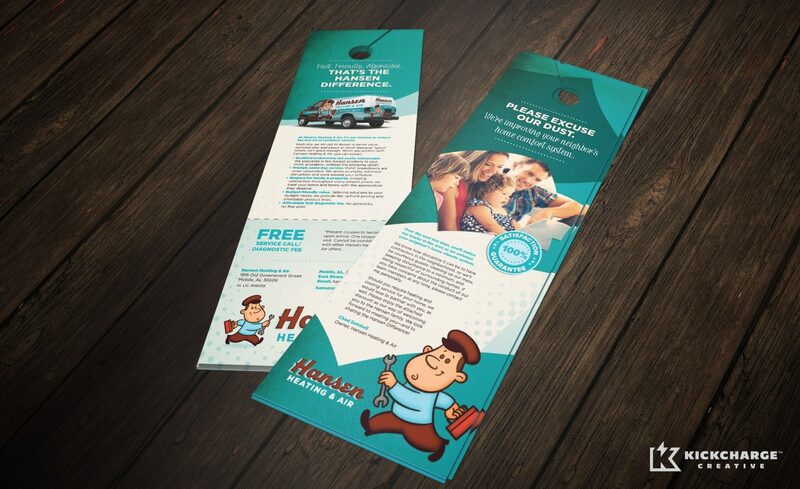 And when our clients give us the chance to make a complete package for their brand, we know they will be successful.